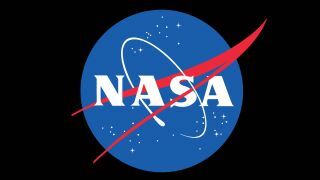 The logo of NASA, the National Aeronautics and Space Administration. The world's premier space agency has joined the search for a Malaysian commercial jetliner that vanished into thin air over the weekend. On Monday (March 10), NASA began examining ways it can contribute to the search for Malaysian Airlines Flight 370, which disappeared shortly after takeoff on Friday (March 7), agency officials said. "Activities under way include mining data archives of satellite data acquired earlier and using space-based assets, such as the Earth-Observing-1(EO-1) satellite and the ISERV camera on the International Space Station, to acquire new images of possible crash sites," NASA spokesman Allard Beutel told Space.com via email. "The resolution of images from these instruments could be used to identify objects of about 98 feet (30 meters) or larger." In addition, Beutel added, NASA will be sending relevant data to the U.S. Geological Survey's Earth Resources Observations and Science Hazard Data Distribution System, which facilitates the sharing of information whenever the International Charter on Space and Major Disasters is activated. The Charter — which aims to mitigate the effects of natural and man-made disasters by streamlining the delivery of space-acquired data — was activated on Tuesday (March 11) by China, according to CNET. Flight 370 took off from Kuala Lumpur, the Malaysian capital, on Friday afternoon U.S. Eastern time, headed for Beijing. The plane dropped off air traffic controllers' radar less than an hour later; the whereabouts of the Boeing 777 jet, which was carrying 227 passengers and 12 crew members, remain unknown. On Wednesday (March 12), however, Chinese officials announced that one of the nation's satellites had spotted a possible crash site for Flight 370. The spacecraft captured images of three large, floating objects in the waters northeast of Kuala Lumpur, along the plane's presumed flight path, CNN reported. A follow-up investigation by recovery boats and aircraft could confirm if the objects are indeed pieces of the Malaysian Airlines jet, experts say. The disappearance of Flight 370 calls to mind Air France Flight 447, which vanished over the Atlantic Ocean in June 2009, shortly after taking off from Rio de Janeiro en route to Paris. It took five days to locate the wreckage of Flight 447 and nearly two years to find and recover the jet's "black boxes" from the ocean floor.